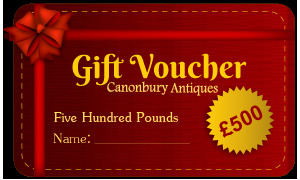 The perfect gift for a loved one a Canonbury Antiques gift voucher. Redeem it in our large showroom for the gorgeous item of your choice. A present to be cherished forever.